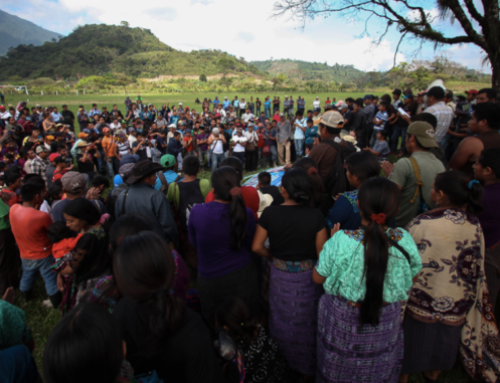 Ten years ago, community members from the Ixcán exercised their ancestral traditions and rights as indigenous peoples, holding a municipality-wide community referendum in which 89.7% of the 21,555 participants in the referendum voted against allowing resource extraction companies into their territories. On April 20, 2017, Ixcán communities celebrated 10 years since the vote and honored generations of struggle to protect land and life. Despite the community’s clear opposition to mega-development projects, however, the threats remain real. Over the past 10 years, communities have organized against the construction of the Xalalá Dam – a proposed project that, if built, would be the second largest hydroelectric dam in Guatemala. 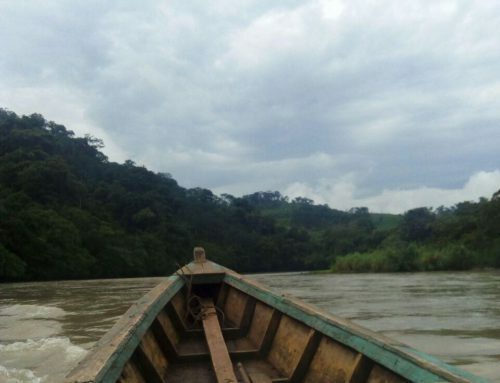 It would flood the lands of some 58 communities along the Copón and Chixoy rivers in the municipalities of Ixcán, Cobán, and Uspantán, directly impacting more than 13,000 people; indirectly, it would impact an additional 18,000 people from at least 44 communities. 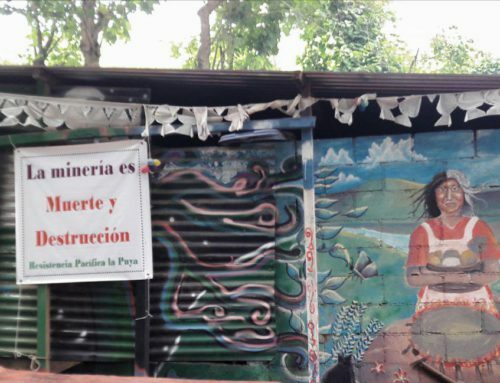 For more on community resistance to the Xalalá Dam, read NISGUA’s blog. The construction of the Xalalá Dam currently appears to be stalled, after the National Institute of Electrification (INDE) canceled the feasibility studies contract amidst revelations of corruption in the granting process. Today, communities continue to uphold the results of the referendum and remain firm in their opposition. They used the 10th anniversary as an opportunity to show documentaries about their process in carrying out the referendum and shared their experiences with younger generations. Children in the community acted out a dramatization and others read aloud selections of a community declaration that attested to the legitimacy of the referendum results. We celebrate, with courage and enthusiasm, the 10th anniversary of the good faith community referendum. We value and recognize the work of our communities in participating in this civil struggle and for saying ‘no’ to the imposition of mega-projects in our territory. It is clear that [these projects] only favor the interests of the oligarchy and transnational companies who, in exploiting our natural resources, are risking our future to feed their insatiable appetite for wealth and power. Members of the oligarchy have come [into our territories] and continue to come, tricking communities by saying they are here for development. However, they are fraudulent and exploiting us. 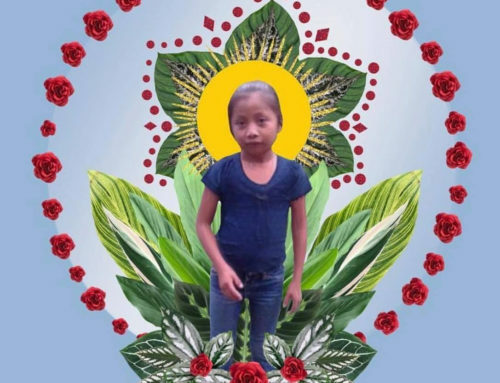 In light of this reality, we have worked as communities to defend life and our lands, exercising our ancestral and legal right to referenda, which is part of the traditions and teachings of our Maya heritage. As a way to preserve life, it is our responsibility to transmit this knowledge as examples to follow for generations to come. Lastly, we ask all people of the world that they not only show their solidarity for the people of Guatemala in the struggle to protect life, but also that they join this struggle, standing with their brothers and sisters to protect biodiversity and collective living over individualistic interests, so that governments and oligarchies respect the true rights of the people. Yes to life! Ten years of struggle and resistance! 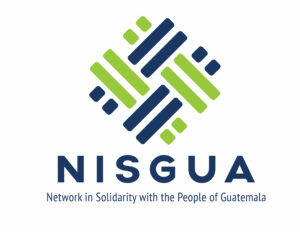 NISGUA, as part of ACOGUATE, provides human rights accompaniment to ACODET and provided international accompaniment and observation throughout the 2007 referendum process in Ixcán. 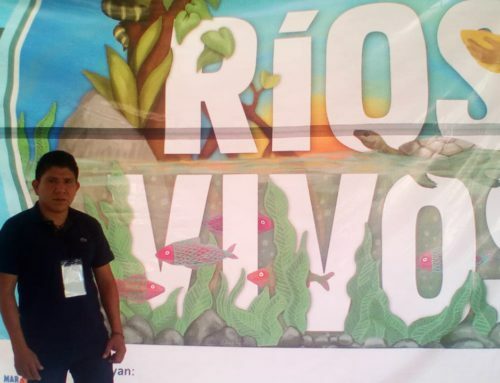 Víctor Caal Tzuy was our 2014 tour speaker representing ACODET, speaking across the U.S. about the region’s struggle to defend their lands against the imposition of the Xalalá Dam and other natural resource extraction projects. Read more about the speaking tour here.